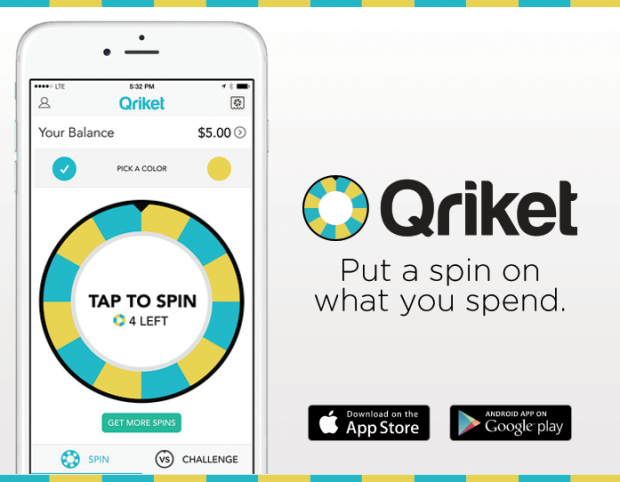 Qriket: Earn Money While Shopping & Playing! You are here: Home / FREEbies / Qriket: Earn Money While Shopping & Playing! Have you ever heard of Qriket? I had not before yesterday. It’s a pretty cool app. It’s a FREE app you can download and spin your way to FREE money! You just watch ads and earn FREE spins and then choose between yellow and blue and if it lands on the color you chose, you WIN! You can win from $0.05 – $500! You can cash out through Paypal once you hit $5. They also have barcode scanning in participating retailers for a chance to win all or part of your purchase! It’s a fun, easy, and FREE way to make a little extra cash!